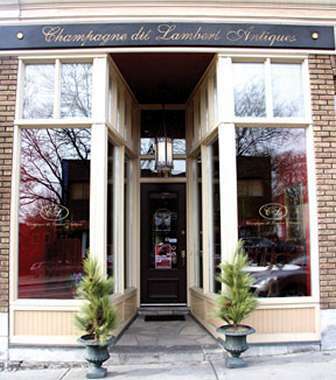 WHO: Champagne dit Lambert Antiques. WHERE: 1130 Bank Street, Ottawa. WHAT: Fine-quality Georgian furniture and silver; American Federal furniture; lamps; and Royal Crown Derby porcelain all displayed in an atmosphere of quiet establishment sophistication. STYLE: Gentlemanly, discreet, classic, sparkling antiques, silver and glassware, objets d'art. BEST BUYS: Stock is ever-changing, but current highlights include a petite 1870s Tiffany carriage clock and a set of eight important Regency mahogany chairs with two carvers, dating from the early-nineteenth century. THE GOODS: So simple. 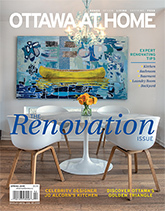 This is Ottawa's premier antiques store with some of the region's most elite names as clients. Champagne dit Lambert sells fine-quality Georgian furniture, silver and more modern objets d'art in good taste. It's a great place to find a wedding or anniversary present. This is the store you visit when you're looking for something specific and when budget isn't an issue. Exceptional quality that is hundreds of years old comes at a certain price and Peter McGregor says, "We'll find anything you are looking for - we don't sell cracked, chipped or damaged." For anything that's slightly less than perfect, or too modern for the main store, there's the warehouse downstairs that sells a selection of more modern, retro and country furniture at great prices. 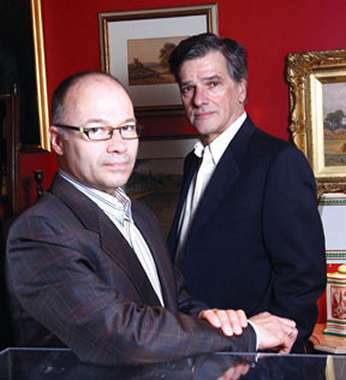 OWNERS: Andre Champagne, originally from Quebec city, and Peter McGregor from Montreal, opened the store in 1991. Champagne's passion is silver and lamps - he designs lampshades and has them made - while McGregor's strength is furniture and eighteenth-century Derby porcelain. Both love what they do. "It's very social and people who are in antiques are very civilized," says McGregor, who adds that Ottawa is a good place for an antique shop, "Because it's a diplomatic town - people bring things and leave things, and there are also collectors with a fabulous eye in this city."